From time to time we have customers who keep getting the same e-mail message over and over again. 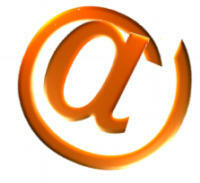 One of the causes of this phenomenon is the result of the way that some e-mail clients operate. Users experiencing this problem find that they get repeats of some of the e-mails that are in their in-box, but don’t get new mail. This method works fine nearly all the time, except if the transfer is interrupted. If the recipe fails at any point then you keep getting messages you have seen. A temporary fault, such as a broken connection or congestion Unfortunately, if the transfer fails because the e-mail client gets confused by the content of the messages then the problem cannot be resolved by the e-mail client. If the messages keep repeating you can use webmail to delete the messages you have already seen.